Bus drivers keep McCrorey-Liston students safe. 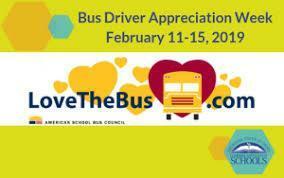 We are very happy to take this opportunity to say "thank you" to the bus drivers that keep McCrorey-Liston students safe on the roads. We appreciate your early hours, unending patience and safe driving habits. We hope you have a great week!